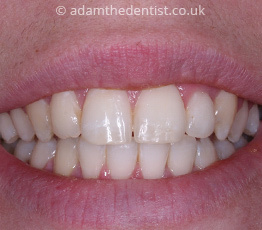 Firstly clean aligners prior to putting them in each time. Use a soft toothbrush with cool water and a small amount of toothpaste. Rinse each aligner thoroughly with water after each cleaning. The aligners need to be removed when eating and drinking (except with cool water )and brushing your teeth. 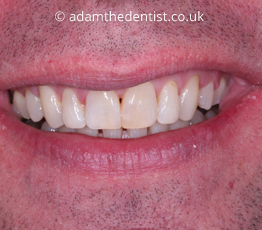 Brush and floss your teeth each time before reinserting the aligner. 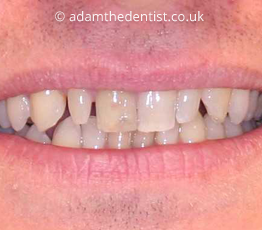 Do not use excessive force to bend or twist the aligner to remove it. 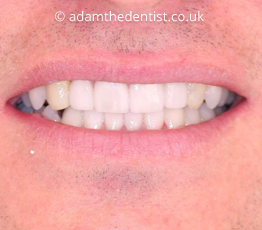 Try not to take the aligners in and out too often as this is more likely to lead to splitting or damage of the aligner which could affect the accuracy of movement of the teeth and could extend treatment time. 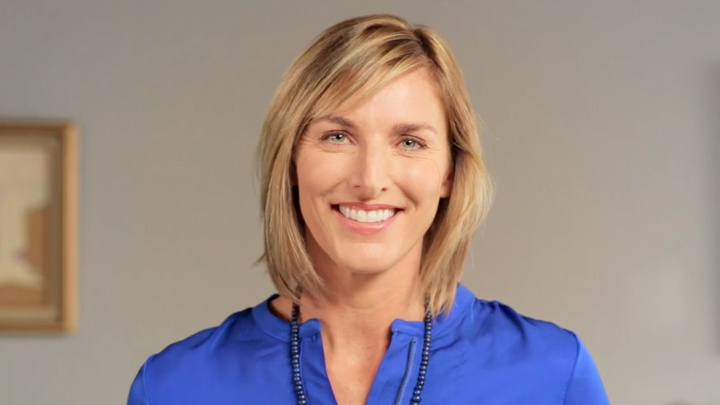 Aim to wear the aligners 20-22 hours a day. Do not bite your aligners into position when inserting them - an option to help with this is to use Chewies (Soft foam cylinders that help seat your aligners). 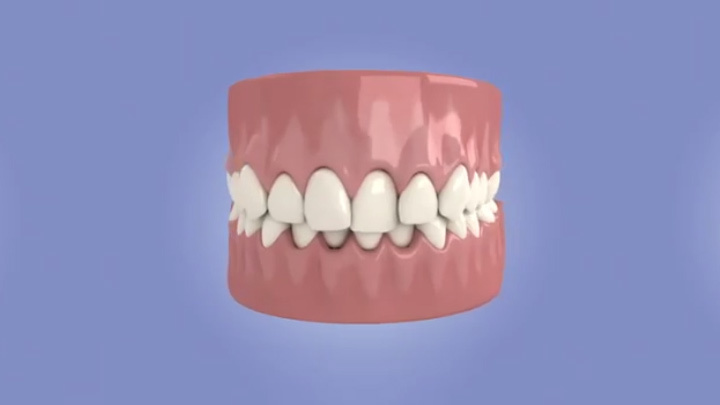 Do not use denture cleaning products or mouthwash to clean the aligners. 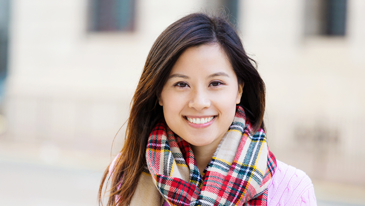 After the braces have been put on the teeth, the teeth can be sore. Initially, eat soft foods. Once the teeth have settled down, it is important to avoid hard and chewy foods such as crusty rolls, apples, nuts, hard sweets etc - this could lead to the brace breaking and could lengthen treatment time. Also, avoiding snacking on sugary foods and drinks is very important. Effective cleaning is essential. The teeth, gums, around the brackets and between the teeth must be cleaned after each meal. Poor cleaning around the brackets and snacking on sugary foods and drinks can lead to decay, marks or discoloured areas forming on the teeth during orthodontic treatment. An alcohol-free fluoride mouthwash/rinse can be used once a day to help strengthen the surfaces of the teeth and help prevent marks forming on the teeth during treatment. 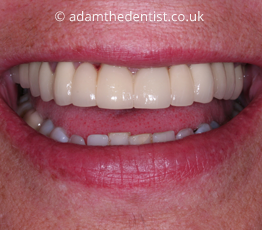 The Inman Aligner is a removable orthodontic appliance so it is easy to clean. However you will need to be careful in cleaning the appliance as it has some intricate coil springs and moving parts which need to be maintained well so that the appliance can continue to work effectively. 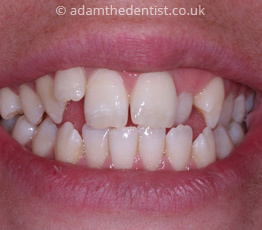 As it is removable, you should put the aligner in its case when not wearing it so as not to lose it or risk damaging it. Do not expose the Inman Aligner to heat as this can cause the appliance to distort which will affect its fit and how well it works. Do not boil or sterilise or leave it in a hot place. Use your fingers to place the Inman Aligner and do not bite it into position. 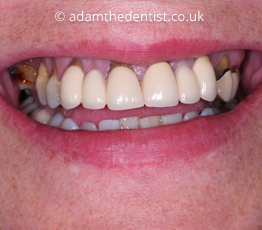 After your journey to straighten your teeth, it is so important that we do everything that can be done to keep the teeth in their new position. Your teeth will want to return to their position before treatment. This is why retainers are needed. 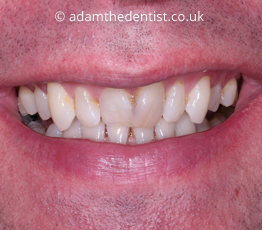 Ideally if possible I would aim to place a fixed/bonded retainer (which is fixed to the back of the front teeth) as well as having a removable retainer (to help retain the back teeth as well as the front), either an essix or vivera retainer. 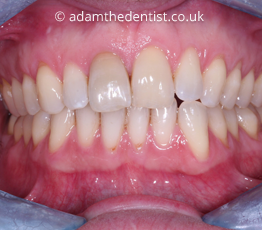 Retainers are a long term commitment and advice is that retainers are worn for as long as you want your teeth to remain straight in their new position. 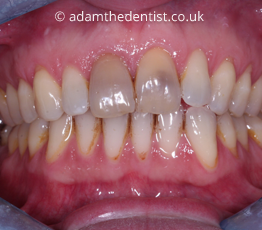 Retainers can degrade and wear out over time and will need to be repaired or replaced every so often. Vivera retainers are a removable retainer that are custom made for you with the same state-of-the-art technology used to make Invisalign aligners. Because the retainers are custom made from an impression or scan of your teeth, you will benefit from a precise fit and therefore more comfortable fit. Vivera's proprietary material is 30% stronger than other lead clear aligner materials , which helps maintain your teeth in the desired position. It also reduces the risk of the retainer cracking or breaking, which means a more durable retainer that you can count on. Wearing Vivera retainers after traditional braces or Invisalign treatment means you are keeping your teeth in their new position and protecting your smile and investment.